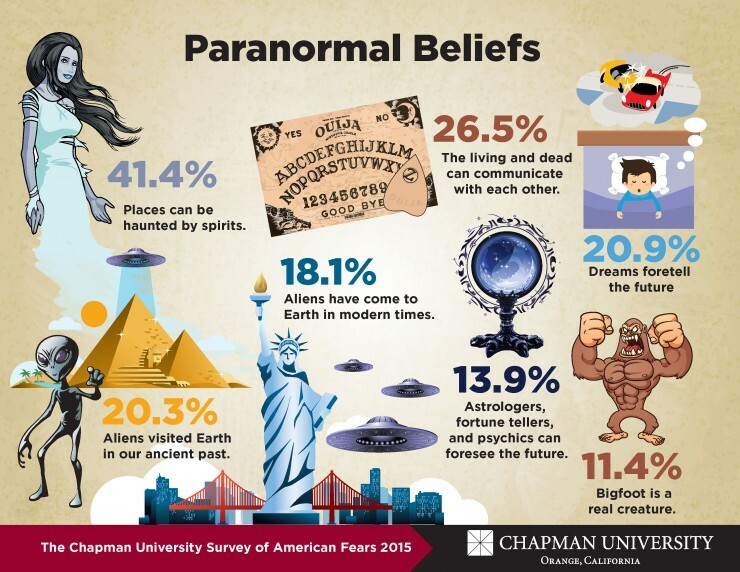 The Chapman University Survey of American Fears, Wave 2 (2015) includes a battery of items on paranormal beliefs ranging from belief in Bigfoot and psychic powers to the power of dreams and haunted houses. Currently the most common paranormal belief in the United States is the belief that places can be haunted by spirits with over 40 percent of Americans agreeing or strongly agreeing with this statement. 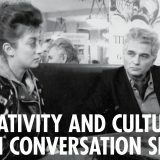 More than a fourth (26.5 percent) believe that the living and dead can communicate with each other. Nearly a fifth believe that dreams can foretell the future (20.9 percent) and that aliens visited Earth in our ancient past (20.3 percent). Aliens visited Earth in our ancient past. Aliens have come to Earth in modern times. Astrologers, fortune tellers, and psychics can foresee the future. such beliefs a person holds. 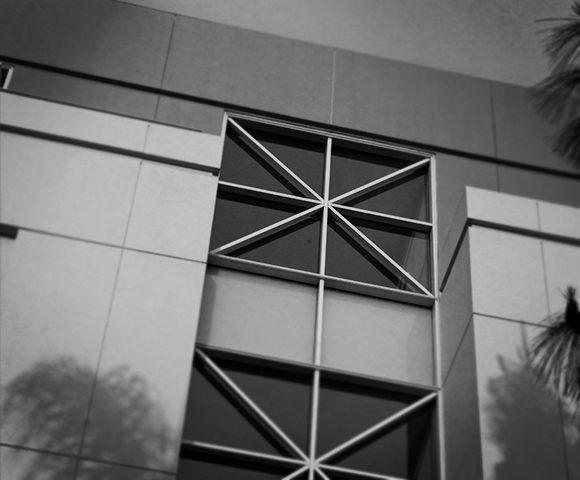 Using the seven paranormal items included on the Chapman Survey of American Fears, Wave 2 (2015), we find that a about half of Americans (49.7 percent) do not hold any of these seven beliefs. However, this means that half of Americans do believe in something paranormal. Certain demographic and personal characteristics are related to holding paranormal beliefs. The following are the personal characteristics that are significantly associated with higher levels of paranormal belief, ordered the magnitude of the effect.